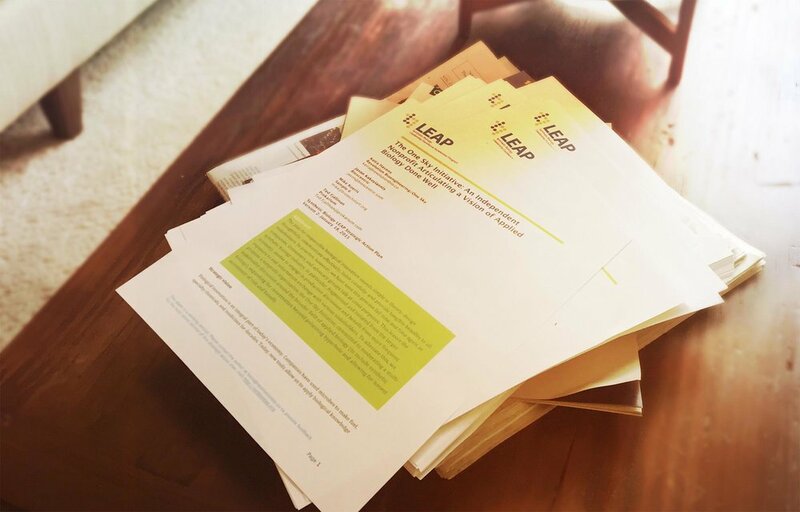 LEAP generates products to raise attention to key needs and opportunities and to engage a wider community in advancing biotechnology in the public interest. The development of Strategic Action Plans is one mechanism through which Fellows integrate their learnings from the program and translate them into action. The LEAP Catalyst Grants provide seed funding for strategic initiatives that have been developed through the program. The LEAP Insight Papers offer Fellows’ insights and reflections on synthetic biology based on their interactions during the Landscaping Workshop.